NICAEA COUNCIL I, the last days of the bigest SWINDLE in all the history of mankind. This information Report has been sent on May 22, 2015 from IADCRO and FIAPBT to Pope Francis at the Vatican, to the different bishoprics, the government institutions, all political parties, to INDIGNANTS platforms social networks, researchers and intellectuals of all kinds and thousands of national and international media, so in honour to the truth they all will have their timely knowledge, they contemplate and consider the way they see fit and their conscience dictates them. In Madrid, on May 22, 2015. The rest about NICAEA COUNCIL I you can see it in Internet translator, sorry; https://translate.google.com/translate?sl=es&tl=en&js=y&prev=_t&hl=es&ie=UTF-8&u=http%3A%2F%2Fwww.iadcro.com%2Fnicea.html&edit-text The original write about NICAEA COUNCIL I in Spanish is: http://www.iadcro.com/nicea.html Could anyone translate in english this story please? Contact: iadcro@iadcro.com Thank you in advance. WE ARE ALL ONE!!! THE BATTERED PALESTINE WOMEN BY THE FALSE ISRAEL JEWS OF THE VIDEO, COULD BE YOUR MOTHER!!! http://youtu.be/BdFy5VycxsM SHAME!!! 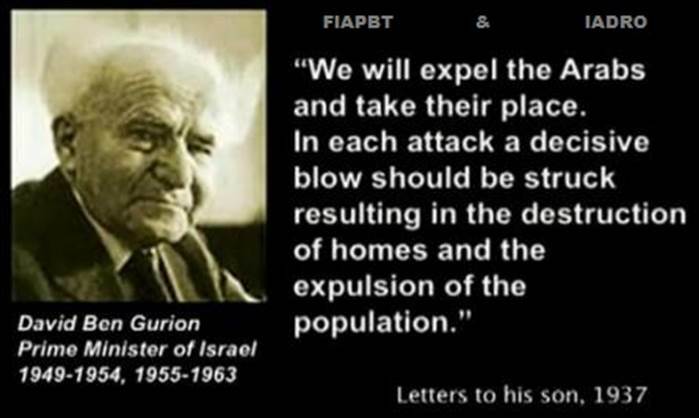 - THE FALSE JEWS SAY... WE MUST TO KILL ALL THE PALESTINIAN MOTHERS!!! http://youtu.be/PPTETcVJhW8 SHAME!!! We must be aware of something important, is that after the suffering of the palestinian citizens for harassment and GENOCIDE suffering because of the FALSE JEWS (ZIONIST AshkeNAZI BILDERBERG), are the honest and TRUE JEWS that after of the palestinian citizens, are suffering the CRUEL and UNJUST policy of the small elite of the BILDERBERG FALSE JEWS because all citizens with Jewish religion are being unfairly blamed them because of the evils which performed worldwide the 75 permanent members of the Club BILDERBERG, FALSE JEWS, who have fooled everyone through their STOOGES (Obama, Cameron, Merkel, Hollande, Rajoy, etc.) and thanks to his FALSE FLAGS to develop their nefarious NEW WORLD ORDER. 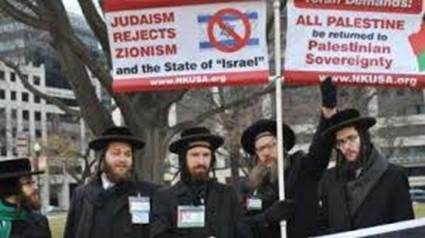 In the picture we can see true Jews showing themself against the FALSE JEWS ZIONIST AshkeNAZI BILDERBERG, showing themself against of the illegitimate Israel state and showing themself favorable that to return of all Palestinian citizens to their MATERNAL and SOVEREIGN land, PALESTINE FREE. These manifestations of the true Jews, are being quite common around the world and seconded by hundreds of thousands of people joining the same demands. We should not forget the mistakes of the past to try not to commit it in nowadays. Recall that HITLER through his NAZI "TERRORIST coalition", was a product created exclusively by the FALSE JEWS ZIONIST AshkeNAZI BILDERBERG (through its PUPPETS) in his day to get a great "justification" covered by FALSE FLAGS, to create ILLEGALLY the Israel state and to STEAL the Palestine land. 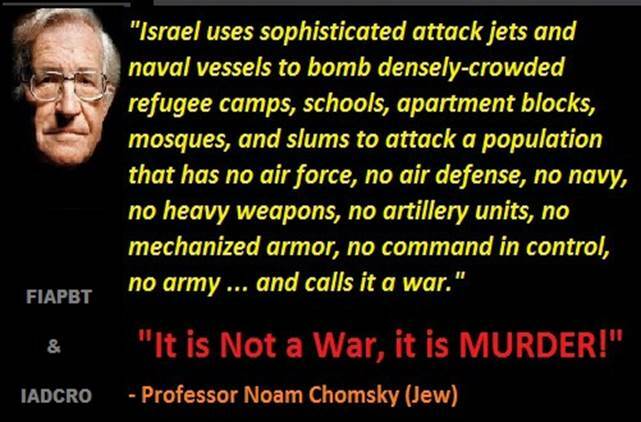 Similarly, OSAMA BIN LADEN with his AL QAEDA "TERRORIST coalition", currently renamed ISLAMIC STATE, was a product created exclusively by FALSE JEWS ZIONIST AshkeNAZI BILDERBERG (through its PUPPETS) to get a great "justification" covered by FALSE FLAGS, to CONQUER and PLUNDER the natural resources of several SOVEREIGN countries, which were FREELY LEGITIMIZED by their citizens under by elected REFERENDUM. To say, that the AL QAEDA "TERRORIST coalition" or the ISLAMIC STATE, has nothing to do with the religion of Islam and its followers, like the NAZIS nothing to do with German citizens. Do not be fooled or confused you!!! Be yourself, decide for yourself!!! The EBOLA WAS... INTENTIONALLY CAUSED!!! 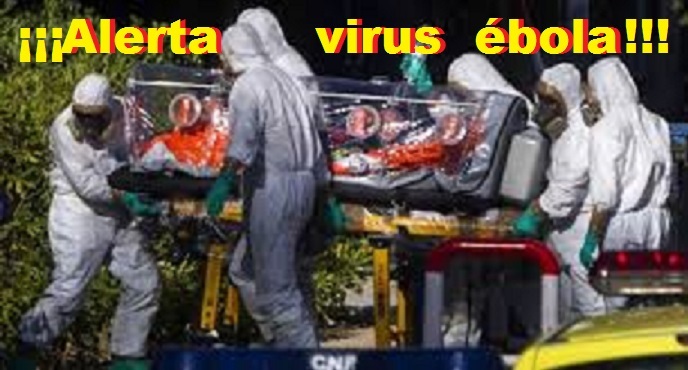 The USA government in 2009 PATENTED a variant of Ebola manipulating these viruses to become a biological weapon: http://www.google.com/patents/US20120251502 And for what? and for what purpose? If the Canadian girl 12 year old Victoria Grant has come to understand the Traps of the banks and she can explain it brilliantly to others in a way simple and easily understood by everyone in the next VIDEO, also you can understand it without problem. VIDEO: http://www.youtube.com/watch?v=6bPRWnposPc this explanation is equally applicable to any other country. As well explains in the VIDEO Victoria Grant and also explained excellently inside the FEDERAL RESERVE link, the BILDERBERG can MAKE in "legal" way all the money that they wish via FEDERAL RESERVE, then I think you might ask, Why BILDERBERG want more money if already have much more than anyone could want? The answer is simple. The BILDERBERG people want to collect of the planet all the money in CASH as possible for them, in this way generate more DEBT through global collections apparently to good causes, such as that concerns us right now ebola, etc. It also charges through PUBLIC DEBT and its impossible interest to pay. Thus go little to little and in different ways coining in the BILDERBERG coffers, the most money in CASH of the planet. In this way they not only get to go ruining the families, also will weaken to governments around the world, with an even greater detriment to citizens for who should pay taxes. 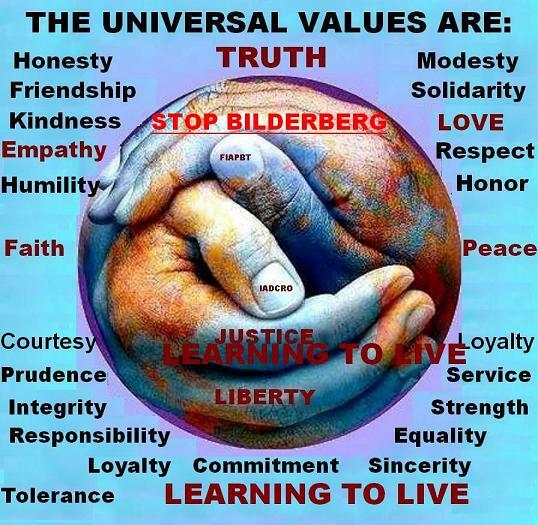 BILDERBERG to perform in this way their ROADMAP his diabolical NEW WORLD ORDER (NOW), SUBMISSION and his CONQUEST will be faster and easier especially for those countries that do not accept right now the BILDERBERG NEW WORLD ORDER. As well say Victoria Grant in the VIDEO, we should not be discouraged thinking that only a few people with good intentions like us, we can not do nothing to change the world, indeed a few bad people (75 mindless BILDERBERG) have succeeded, then, What not will get change if we unite all good people with good intentions in the world? We will get everything that aim were in the blink of an eye. At the bottom of this article, you will find links to several associations of Internet entitled "Recommended places for its commendable DIGNITY, to adequately inform with The TRUTH", This people work and put all their good intentions in creating a just and true society. You can participate and join them from anywhere you live. FORCE and LET´S GO!!! These photography´s men (elements) are just some of the 75 most important sickly members fixed that composing the Club BILDERBERG. 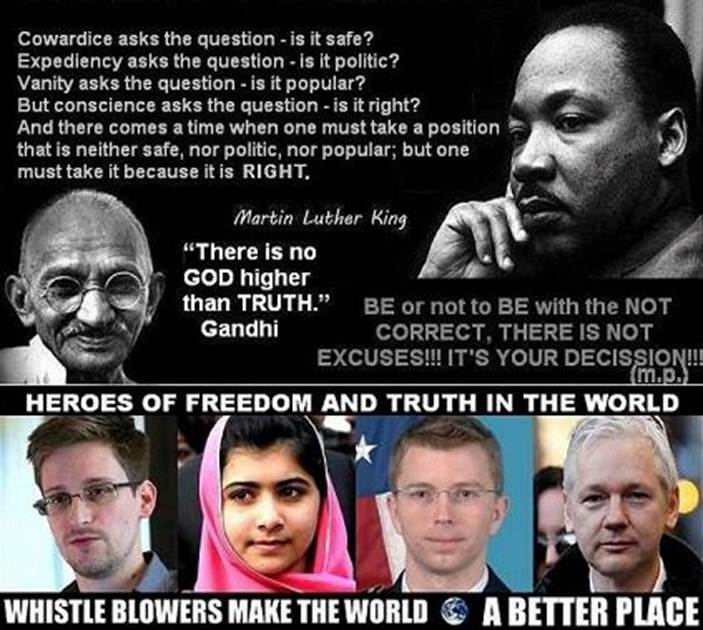 The ethics and The RIGHT indicates to the good people with empathy and good intentions, that we must to spread massively and report these individuals to the International society to know them publicly, to expose his plot New World Order is doing so much damage to the citizens of all countries of the World. 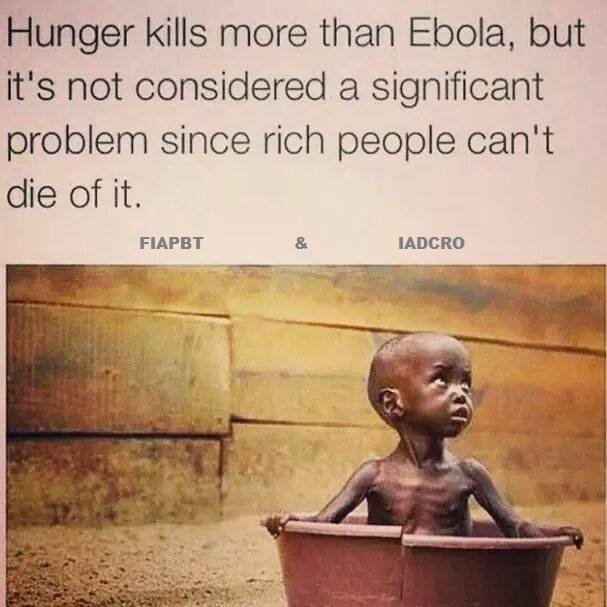 In honour to the TRUTH, I believe that some information is good and right to understand some things about EBOLA. 2- Do you have heard about FORT DETRICK? What is FORT DETRICK? DIRECT RELATION BETWEEN BILDERBERG HIS PUPPETS WITH THE ÉBOLA: https://translate.google.com/translate?sl=es&tl=en&js=y&prev=_t&hl=es&ie=UTF-8&u=http%3A%2F%2Factualidad.rt.com%2Factualidad%2Fview%2F136298-centro-investigacion-biologica-eeuu-fort-detrick-brote-ebola&edit-text -- In Spanish: http://cenic.jimdo.com/armas/ebola-arma-de-eeuu SHAME !!! 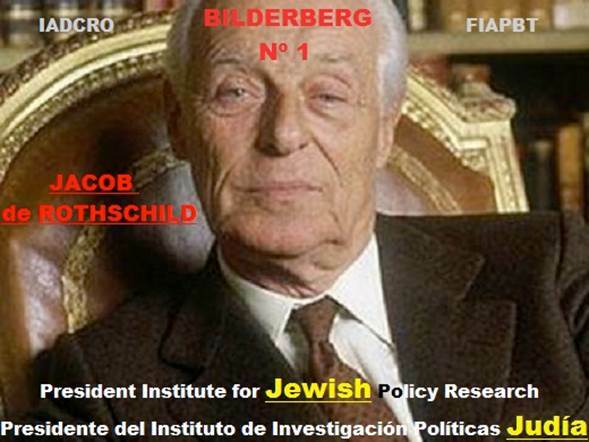 The majority of the most important and influential Club Bilderberg fixed members are Jews (Israel), bankers, businessmen and tycoons of the energy industry (petroleum, gas, coal, etc. 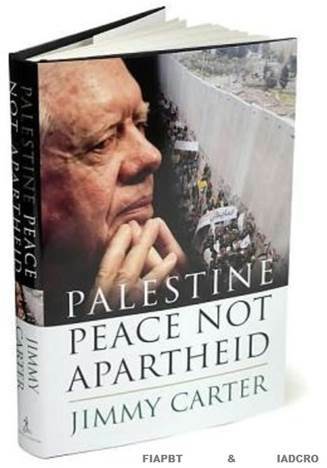 ), which under tricks and subtly, they will give everything that need to the leaders of the Israel government, which is very much, to rob the expense of what it takes the little Palestinian territory that still have not have been robbed. The leaders of the Israeli government endorsed and supported by the Club BILDERBERG people not will stop destroying Palestinian cities, will continue killing under false pretenses, without scruples and without discrimination to children, adolescents, pregnant women, elderly, everything that moves under its point focus and will not stop until take out or kill one or otherwise under FALSE FLAGS Palestinian citizens, to thereby obtain the Palestine land to continue building ILLEGALLY COLONIES JEWISH and secondly, to gain exclusivity of RELIGIOUS TOURISM IN LAND OF JERUSALEN AND PALESTINE, which generates BILLION EUROS. 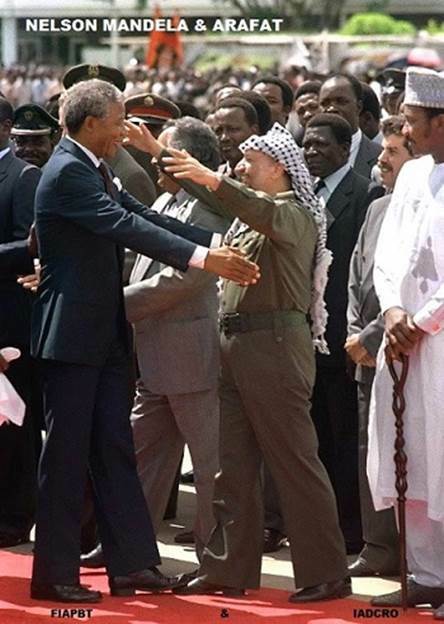 The countries that show support for the Palestinians will be taken in mind everything, to difficult it for its free trade, etc., just like that, just because not agree with the GENOCIDE that are doing BILDERBERG along with the Israel leaders. 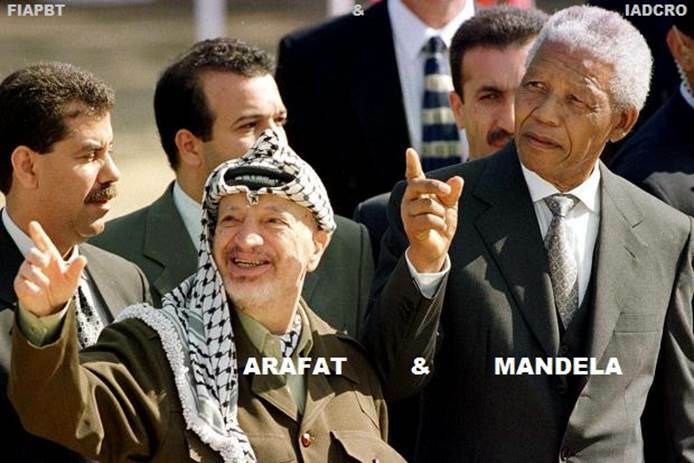 Those countries that go for justice, honesty, FREEDOM and TRUTH, ie by going into the CORRECT way and persist in supporting to Palestine, despite the enormous difficulties and disadvantages to be found in part of BILDERBERG, the leaders of Israel and its PUPPETS, those countries will be branded like enemies and terrorists, will be directly targeted by BILDERBERG to annihilate them, to loot their natural resources and take subtly the country concerned, and later be SUBMITTED and under government of native people of the invaded country yes, but these people are not elected undemocratically no, are people who are placed by BILDERBERG to ensure OBEDIENCE and loyalty to his tyranny masked. And the facts I refer, there are many examples, the most recent we have in Afghanistan, Libya, Iraq, etc. 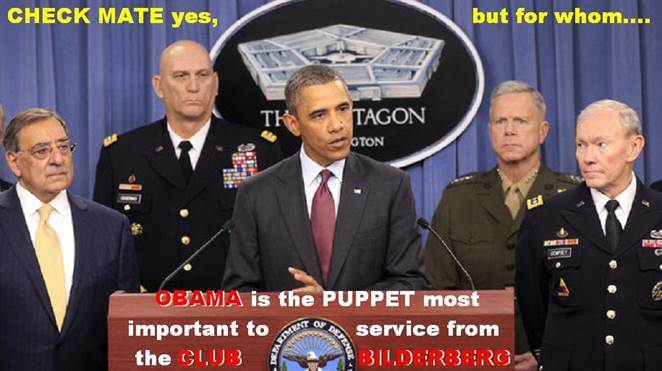 The BILDERBERG PUPPETS like Obama, Rajoy, Cameron, Hollande, Merkel, etc. that governing many countries, them be doing blind eye on what interests them. 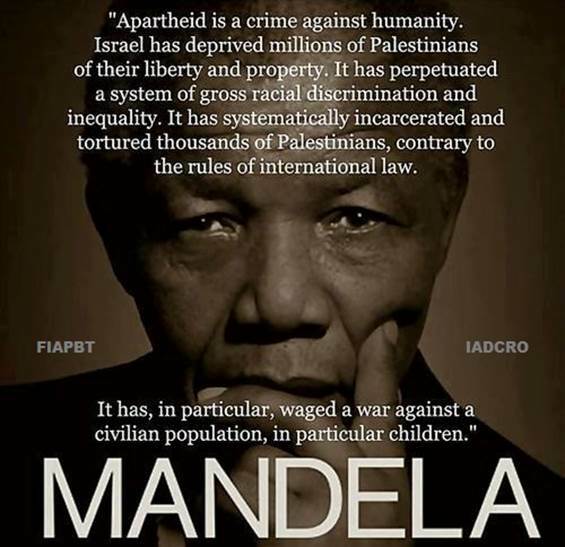 They do not want to see such as the cruel and bloody destruction that Israel is holding to the Palestine civilians and yet, them support with everything needed (with money from his citizens, of course), looting and killings perform daily obedient countries and run by BILDERBERG (especially USA, UK, Germany, Canada, France, all other EU puppets countries, etc. ), only natural goods possess many poor countries, where this kind of wealth only have millions and millions of people to can eat and survive, people from countries like Afghanistan, Iraq, Libya, etc. Since the media controlled by BILDERBERG (all major media Newspapers, TV, Radio, etc. ), justify these lootings in the public opinion with FALSE FLAGS, such as the fight against terrorism among others, when in fact the TERRORISTS are themselves for to sow the TERROR, the DESTRUCTION and the DEATH among civilians in the invaded sovereign country, to plunder wonderfully cruel and unfair way of the few riches they possess, especially petroleum, gas, coal, etc. 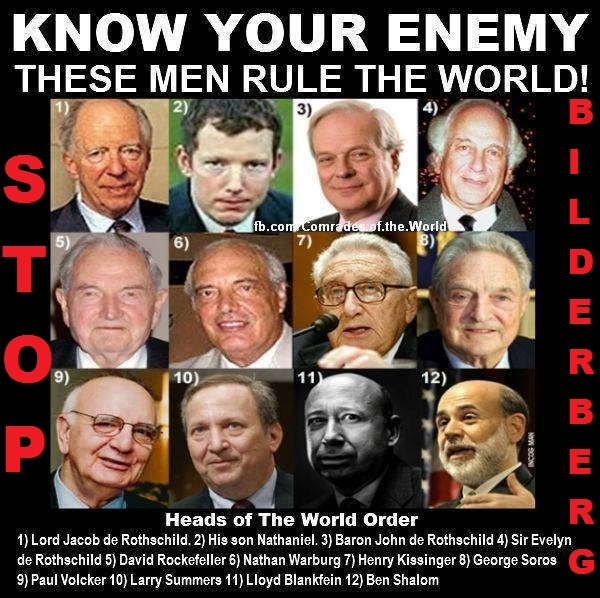 The leaders of many countries, instead of condemning and to help in REAL way, like should in all those that they could be possible to stop this excessive human slaughter, they are in silent because in fact they are the BILDERBERG accomplices in the shade, they are the BILDERBERG PUPPETS, which consenting, which allow, those who help and those that are doing the human slaughter. SHAME !!! "You should help your neighbor when he is in distress and need." The "church" of many countries and their governments “state”, doing the blind eye on what interests them. They do not want to see such as the cruel and murderous extermination that the FALSE JEWS Israel leaders (ZIONIST AshkeNAZI BILDERBERG) are carrying out with the Palestinian civilians and yet they are supporting everything it takes to do the looting that are doing all days perform countries led by BILDERBERG (especially USA, UK, Germany, Canada, France, all other puppets EU countries, etc.) in the natural resources that have many poor countries, with this kind of wealth is the only thing that have millions and millions of people in order to can survive, people from countries like Afghanistan, Iraq, Libya, etc. From the mass media that are controlled by BILDERBERG (all major media TV, Radio, etc.). Justifying these countries´ looting to face to public opinion with false flags such like the fight against terrorism among others, when in fact the terrorists are themselves, to sow the TERROR, the DESTRUCTION and the DEATH among civilians for to loot very well the country invaded in cruel and unfair way, especially to loot the oil and gas. 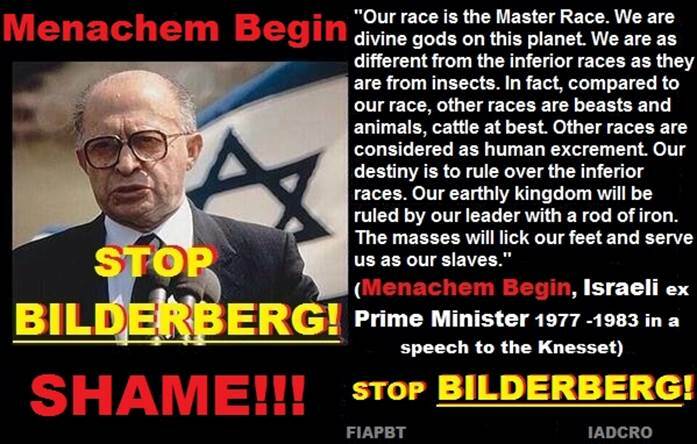 Since here report to you, that the Club BILDERBERG most important members are FALSE JEWS (ZIONIST AshkeNAZI). With the information that is collected here, some people could began to understand many issues that were incomprehensible to them so far, such as; Who are really the TERRORIST; Or why the Club BILDERBERG members want to develop their plan New World Order (NWO), so in this way, they will be able to create for their benefit a only one World Government; Or why of the impossibility of a peace agreement between the countries of Israel and Palestine. 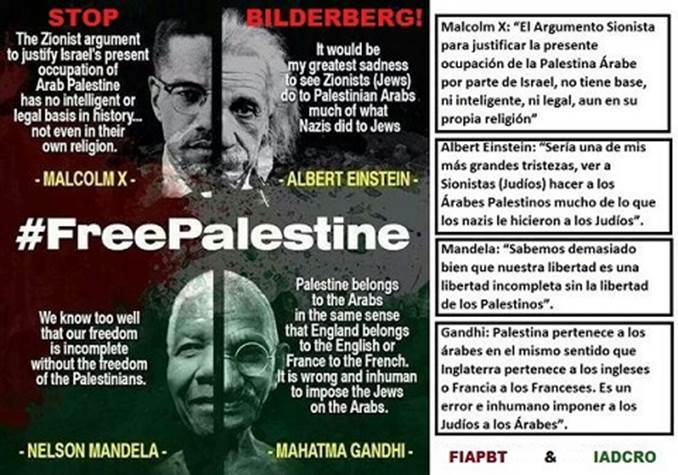 The FALSE JEWS (ZIONIST AshkeNAZI BILDERBERG) neither wants nor wishes peace with Palestine, because wish to have a justification with false flag of fighting "Palestinian terrorism", thus able to completely exterminate Palestine and appropriate fully of the few National Palestine places that the FALSE JEWS Israel leaders (ZIONIST AshkeNAZI BILDERBERG) even have not stolen them, with the PATHETIC and IRRATIONAL complacency of the politicians who run other countries, which, in order to retain their great status and privileges granted by BILDERBERG, without scruples or ethics like puppets dancing to the tune of BILDERBERG. 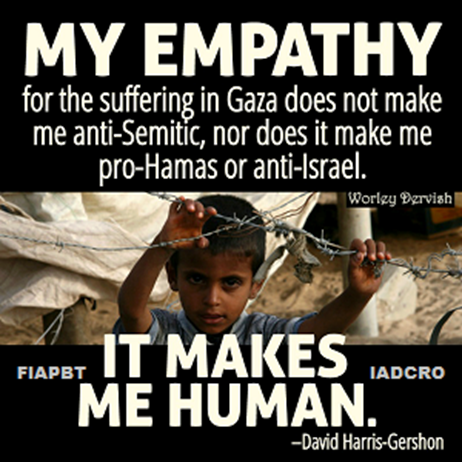 The GENOCIDE that are doing ISRAEL to PALESTINE you can follow it below of this page: https://translate.google.com/translate?sl=es&tl=en&js=y&prev=_t&hl=es&ie=UTF-8&u=http%3A%2F%2Fwww.iadcro.com%2FEBOLAXPETROLEO.html&edit-text GENOCIDE PICTURES: https://www.google.es/search?q=israel+massacre+to+the+palestinian+civilians&hl=es&rlz=1T4GGHP_esES584ES584&source=lnms&tbm=isch&sa=X&ei=Ezc-VLHrLInnaM3TgNgI&ved=0CAkQ_AUoAg&biw=1280&bih=575 SHAME !!! * ¿CÓMO SE ORGANIZAN DENTRO DEL CLUB BILDERBERG ? 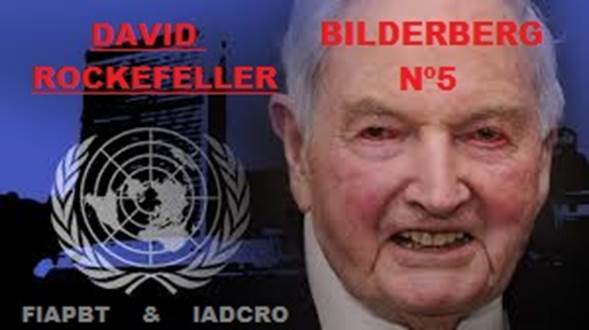 http://www.iadcro.com/ organizacioncb .html6- HOW TO ORGANIZE WITHIN THE BILDERBERG CLUB? http://www.iadcro.com/organizationcb.html SHAME !!! 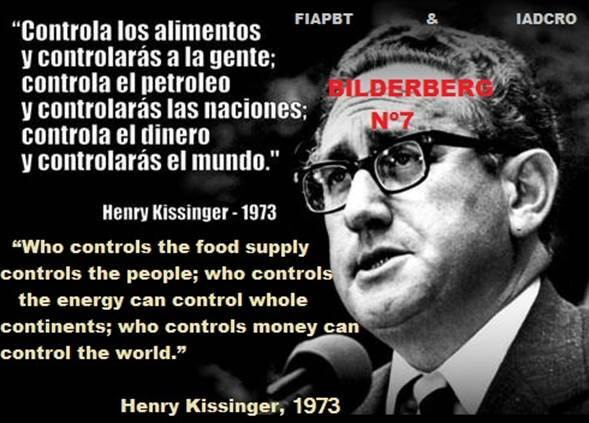 * LOS7- THE BILDERBERG , LOS PROPIETARIOS DE LA RESERVA FEDERAL (El quid de la cuestión) http://www.luisprada.com/Protected/ la_reserva_federal .htm BILDERBERG, OWNERS OF THE FEDERAL RESERVE. The BIGGER SWINDLE THAT HAVE BEEN MADE ALONG TO THE HUMANITY HISTORY. THE FEDERAL RESERVE. 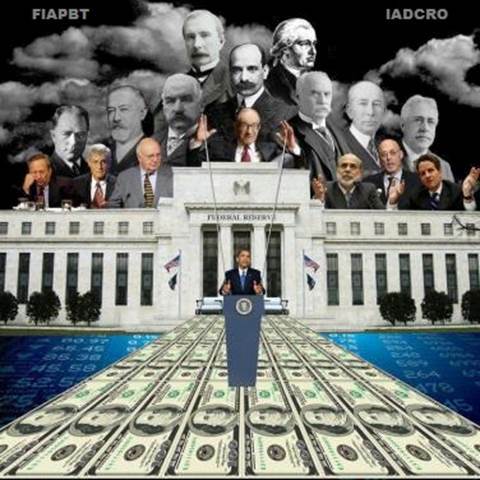 By Stephen Lendman: http://www.thirdworldtraveler.com/Stephen_Lendman/Federal_Reserve.html (The crux of the matter) SHAME !!! * Las FALSAS BANDERAS10- THE BILDERBERG FALSE FLAGS Y MEDIAS VERDADES AND HALF TRUTHS THROUGH THE USA PRESIDENT: https://translate.google.com/translate?sl=es&tl=en&js=y&prev=_t&hl=es&ie=UTF-8&u=http%3A%2F%2Fwww.iadcro.com%2Ffalseflags.html&edit-text SHAME !!! @ Los Estadounidenses honrados y personas de bien después de ver con atención dentro del siguiente VIDEO , como el ejército americano ASESINA CRUELMENTE13- The honest and decent USA people after to see intently into the following VIDEO, like the US Army CRUELLY KILLER y a sangre fría and with COLD BLOOD a personas civiles y heridos INDEFENSOS , incluso también a los dos niños que van dentro de la furgoneta sin ninguna clase de SENTIMIENTOS , ¿Pensaran que OBAMA y el resto de autoridades y representantes without any kind of FEELINGS to civilians and wounded HELPLESS, including also the two children that go into the van; The USA PEOPLE, they will think that OBAMA and his other authorities and representatives de su país, realmente poseen el ESPIRITU AMERICANO que cualquier ciudadano de bien debería de poseer? of his country, really have the AMERICAN SPIRIT that any good citizen should possess? ¿Qué pensaran? VIDEO : https://www.youtube.com/watch?v=Ha8tviXbV48 ¡¡¡VERGÜENZA!!! What they will think about? VIDEO: https://www.youtube.com/watch?v=Ha8tviXbV48 SHAME !!! If the CORRUPT not want to give the Power... HOW TO GET THE EXPECTED A SOCIAL SYSTEM CHANGE? After this, if we consider to us like good people and with a minimum of DIGNITY, I think we should make a deep inner reflection coming since the TRUTH and our CONSCIENCE, to procure contribute in positive way in based to the RIGHT to our families, our social environment and especially to ourself. In short, what is RIGHT you do it and what is not RIGHT you will not do it. It is very simple, we are not stupid how for not to know what is RIGHT and what is not RIGHT. If you want, you can do it!!! I believe that everyone creates and runs their own destiny, based on their attitude and on the DECISIONS that is taking every day in their life. You decide!!! Good Luck!!! WE ARE ALL CONNECTED! - WE ARE ALL THE NEIGHBOR! - WE ARE ALL ONE! - WE ARE ALL CONSCIENCE!. 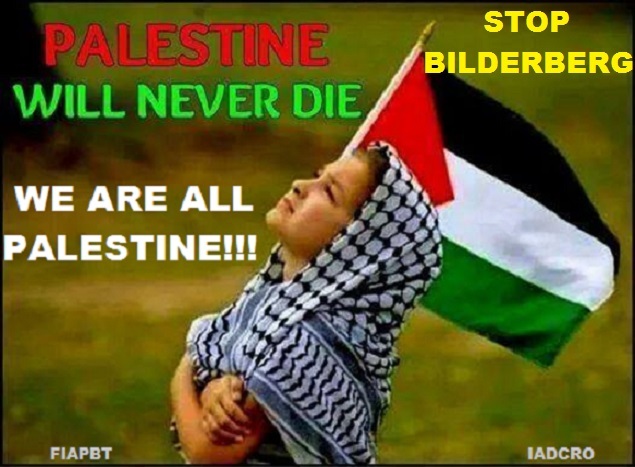 BILDERBERG = ISRAEL -- WE ARE ALL PALESTINE FREE!!! ALBERT EINSTEIN. 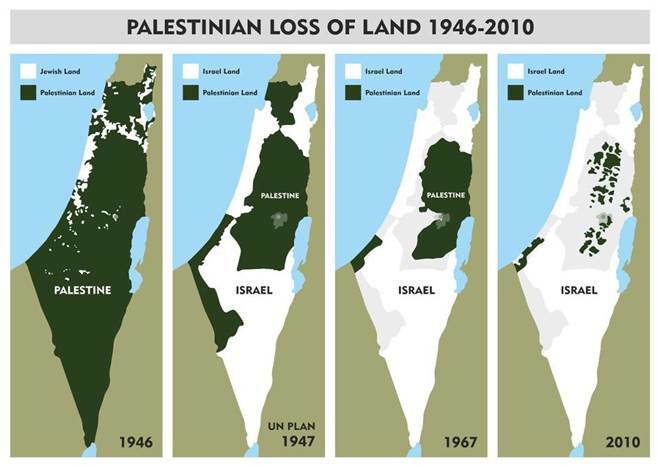 PALESTINE; It's not a war, it is a GENOCIDE!!! The PALESTINIAN GENOCIDE is such a perverse reality, like the silent complicity of the governments and their media, which manipulate and hide the evidence. At present, the entire world is happening the same that PALESTINE and by guilt of THE SAME CORRUPT GENOCIDALS BILDERBERG, belonging to the Jewish Masonic sect called "B'Nai B'rit" . It is not a crisis ... It is their SWINDLE!!! Where is the personal CONSCIENCE of each one in each social question? Where is the AMERICAN SPIRIT, or the UNIVERSAL SPIRIT of the VALUES ETHICAL and MORAL of the PERSON? Where is the DIGNITY of the person? When you lose your SOLIDARITY, your GOOD INTENT, your SINCERITY and your DIGNITY... in that moment already you are NOBODY by so much wealth and influence that oneself possess. The CHANGE is here. The CHANGE is in your hands. If you want to CHANGE the world in a positive way, CHANGE yourself first and you will have got to win THE TOOL that you need to get it. In short, what is RIGHT do it and what not do not do it, it's very simple, we are not dumb to not know what is RIGHT and what is not. I believe that everyone create and runs their own destiny, based on their attitude and on the DECISIONS that is taking every day in their life. You decide!!! Force!!! I think that all your life you will remember this like the best decision you made in your life. If you want, you will can!!! Good luck. Spanish professional military of the earth Army between 1981 and 1985, with the graduation of Cape 1st Artillery. 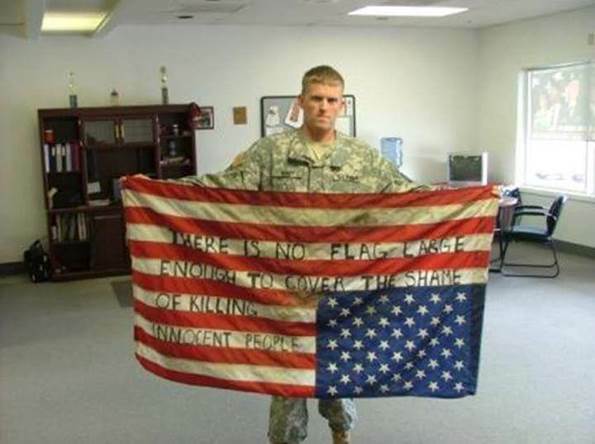 The media among other things HIDE, that most American soldiers that die to go to "war" ... do not die in combat; Them died by suicide!!! Since when these soldiers are reported and realize that they are not in a war, or that they are not fighting with terrorists, because they themselves are the terrorists by invading the sovereign countries, many of them mentally upset because they do not assimilate this information and many soldiers end up committing suicide because their conscience does not support or hold the killings of innocent people that them have done. The soldier BRADLEY MANNING despite being UNJUSTLY imprisoned, thanks to his COURAGE, HONESTY, SOLIDARITY and for to walk in the direction of the CORRECT and the TRUTH, he is very much FREE that many people who are out of prison. 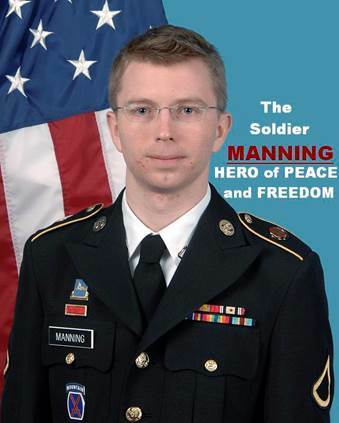 Manning is a HERO of PEACE and FREEDOM. 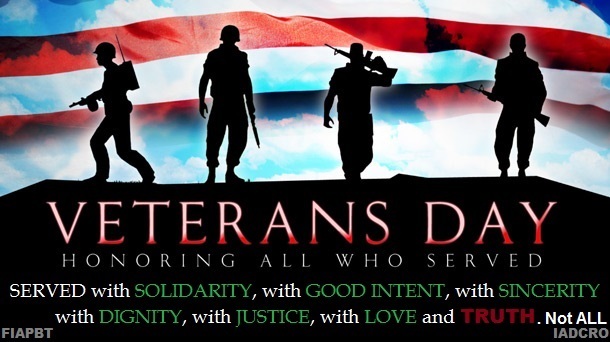 THANKS SOLDIER!!! "La política de EE.UU. está diseñada para que aumente el terror" (Noam Chomsky) http://actualidad.rt.com/actualidad/view/101385-chomsky-snowden-eeuu-terrorismo-extradicion- "USA policy is designed to increase the TERROR" (Noam Chomsky) http://www.mediaite.com/tv/noam-chomsky-obama-is-running-biggest-terrorist-operation-that-exists Those who generate the TERROR, really are the TERRORIST. The next VIDEO will help you to understand easy and quickly the very negative situation national and international that we live in nowadays. If you have the patience to see all content of this extraordinary VIDEO, you will understand in a simple and easy way because the bad current international situation regarding economic, social, political, religious, etc. and who and for what reason some people have done it and what other people have allowed it. The politicians always are telling us that the crisis go to better, soon we will go back the same place before the crisis and the welfare situation would return to be well again, etc, but of course all it will be thus long as if they continue ruling the country… with YOUR VOTE!!! lol. 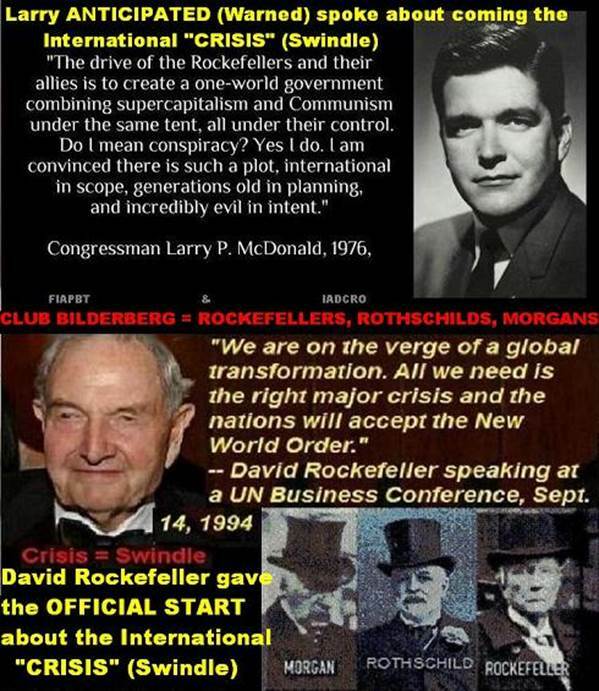 Is the same BILDERBERG tale, is the same tale in all countries. Well, in all countries less in Uruguay with its great and humble president José Mujica, also will have its flaws as a human being, but it is quite another thing. ATTITUDE!!! Mujica is a great example of humility, honesty and good intention, an example to follow not only by his politicians peers, but also is an example to follow by the normal people, Cops, Judges, Employers, Masons, Housewives, Army soldiers, Bankers, Carpenters, you and me, etc. An example to follow for all the people with good INTENTION and good CONSCIENCE. I.e. Race is only used by those seeking to divide us... and distract us from the real issues. You are very right J. W., you know very well that you are talking about, Great!!! You're right, but not only are doing it with the issue of racism BILDERBERG and his PUPPETS to divide us. Also within society through their media (TV, Radio, etc.) get bring FEAR into the minds of the citizens and many others stupid issues that we are confronted with each other and thus they keep us distracted quarreling between us with stupid issues, meanwhile they subtly and so UNJUST and CRUEL steal, kill, smuggle secretly weapons, women, drugs and bodies of children, pharmaceutical medicines, looting the natural resources of poor countries and murdering its civilians through FALSE FLAGS, evicting homes to thousands and thousands of USA families, etc., etc. We should not fight between us with stupid issues, it's what they want that we are doing, so not be able to reason in matters of importance. I think that we are people smart enough to understand what is happening and we are able to say, ENOUGH IS ENOUGH!!! Then, we must TO ASK OURSELVES HONESTLY the following Poll question: USA are helping to the USA citizens and the citizens of other countries? Pólice or Cops, the Army soldiers, etc. 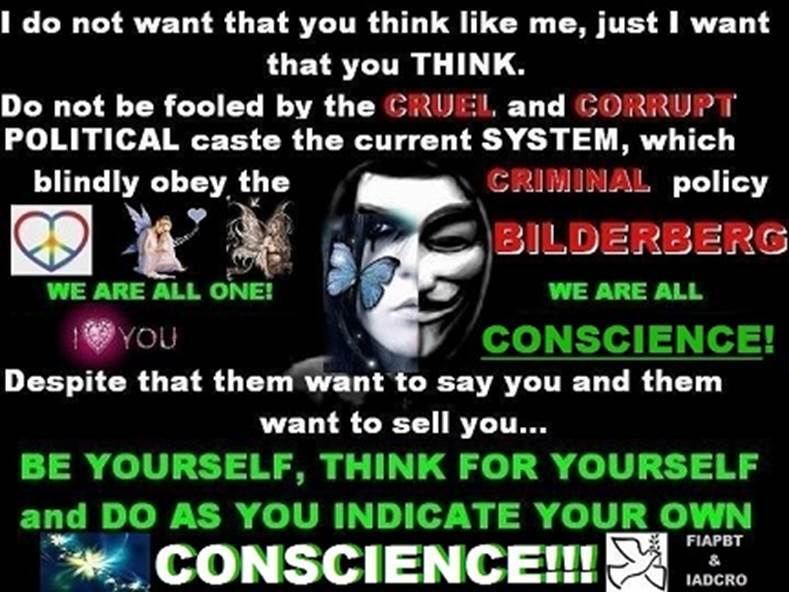 are the tools of the CORRUPT Politicians and the CORRUPT Politicians are the tools of the Club BILDERBERG people who want to rule all the world with his NEW WORLD ORDER (NWO) and maybe soon will can get it. The States by the Obama way, the stupid PUPPET most important Club BILDERBERG, is NOT helping any country, what he is doing is LOOTING the poor countries of its natural resources like Oil, Gas, coal, etc. To LOOT these sovereign countries makes it through INVASION with FALSE FLAGS like the fight against terrorism, when in fact the TERRORIST is who done the country´s INVASION to SOW TERROR and the DEATH between of the invaded country citizens. 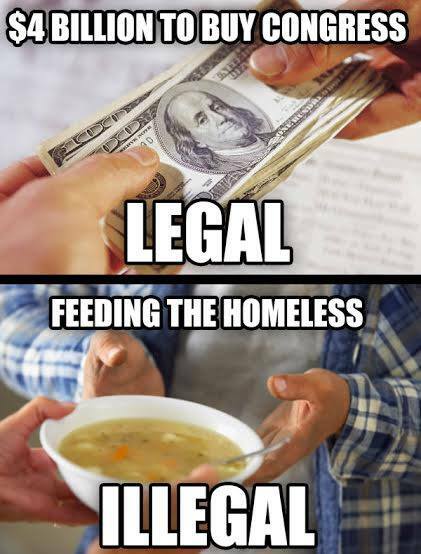 Do you notice the difference? Do you not see this subject? OPEN YOUR EYES AND WAKE UP!!! 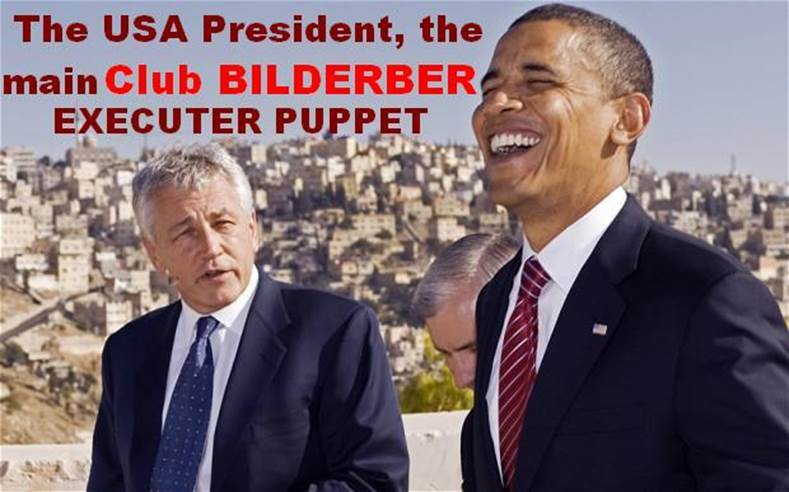 At the same time, the States by the Obama way, the stupid PUPPET most important Club BILDERBERG, is doing the same thing in his own country than the countries that he LOOTS by the BILDERBERG order and we are seeing it every day from inside and outside of the States. In the States every day are evicting thousands and thousands homes with FULL FAMILIES!!! In this moment they are killing to the families by different ways, they are inducing to the families suicide, they are inducing to the families to steal, they are inducing to the families to the wrongdoing, they are inducing to the families to the crime in general, because they are inducing to the families by the way NOT RIGHT, the BILDERBERG way. In this moment, they are stealing to the families their privacy and freedom, stealing to the families all their life, etc. After they tell us that we live in FREEDOM? WHAT KIND OF FREEDOM? THIS IS NOT FREEDOM. WE LIVE IN AN UNJUST, CRUEL AND BLOODY DICTATORSHIP, this is the sad TRUTH... SOWING the TERROR and the DEATH between States citizens in MANY WAYS!!! Do you notice the difference? Do you not see this subject? OPEN YOUR EYES AND WAKE UP!!! Me in your place, I would not believe in the data and everything that inform to you the media, is only my opinion and my recomendation with good intention to you. The owners of the media are the BILDERBERG people and his friends, which since the media HANDLED minds of citizens through FEAR and LIES to their interest, they are LYING us every day. The media are the TOOLS for brainwashing of society that have the CORRUPT, ALWAYS at the expense of The TRUTH and the citizens FREEDOM. ALL what you need to know, must be through INTERNET!!! In honour to the truth and the right, I think we should not close our eyes to allow evil and injustice BE NORMALIZE within the society in which we live.